Apply for a FREE one-hour strategy session. 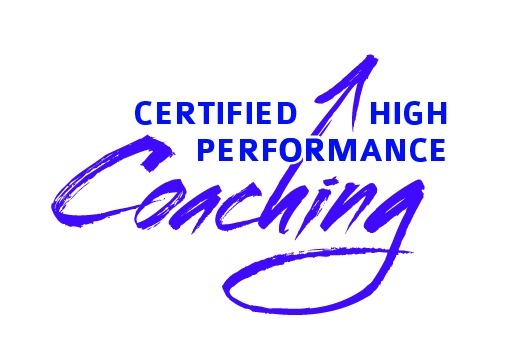 I have an application process for those who want to begin Certified High Performance Coaching with me. It involves providing you with a free, 60-minute strategy session. During that session, we get to know each other and I can determine if we are a good fit to work together. But during the session you also take your first steps toward higher performance and learn five high-performance habits you can put to use immediately. If you are serious about creating change in your life and stepping into your best self—sooner rather than later, fill out the application below. If you are a good candidate for my Certified High Performance Coaching program, I'll contact you about setting up the free session. I promise you'll walk away from the session with tools, strategies and insights to help you become your best self and make your dream a reality. You can level up your performance right away . . . just from the one session. There's no risk—just 60 minutes of your time. There's no obligation to continue working with me . . . only an opportunity to see if Certified High Performance is the next step on your journey to fulfilling your potential. When you don't invest time in yourself, you risk remaining stuck and unable to realize your potential and purpose. Invest in yourself. You're worth it. It's your time to take inspired action and achieve the results you desire in your life, health, relationships, and work. The questionnaire below serves as your High Performance Coaching application. Please answer the questions honestly and to the best of your ability. There are no right or wrong answers. You don't need to try to impress me. The application just helps me get to know you a little bit. After reading through the application, if I feel you are a good fit for the program and for me as a coach, I will contact you to arrange a strategy session. Please answer every question and provide a valid email address. Not responding to every question will result in unsuccessful submission of the form, and I will not receive your responses. AfghanistanAlbaniaAlgeriaAmerican SamoaAndorraAngolaAntigua and BarbudaArgentinaArmeniaAustraliaAustriaAzerbaijanBahamasBahrainBangladeshBarbadosBelarusBelgiumBelizeBeninBermudaBhutanBoliviaBosnia and HerzegovinaBotswanaBrazilBruneiBulgariaBurkina FasoBurundiCambodiaCameroonCanadaCape VerdeCayman IslandsCentral African RepublicChadChileChinaColombiaComorosCongo, Democratic Republic of theCongo, Republic of theCosta RicaCôte d'IvoireCroatiaCubaCuraçaoCyprusCzech RepublicDenmarkDjiboutiDominicaDominican RepublicEast TimorEcuadorEgyptEl SalvadorEquatorial GuineaEritreaEstoniaEthiopiaFaroe IslandsFijiFinlandFranceFrench PolynesiaGabonGambiaGeorgiaGermanyGhanaGreeceGreenlandGrenadaGuamGuatemalaGuineaGuinea-BissauGuyanaHaitiHondurasHong KongHungaryIcelandIndiaIndonesiaIranIraqIrelandIsraelItalyJamaicaJapanJordanKazakhstanKenyaKiribatiNorth KoreaSouth KoreaKosovoKuwaitKyrgyzstanLaosLatviaLebanonLesothoLiberiaLibyaLiechtensteinLithuaniaLuxembourgMacedoniaMadagascarMalawiMalaysiaMaldivesMaliMaltaMarshall IslandsMauritaniaMauritiusMexicoMicronesiaMoldovaMonacoMongoliaMontenegroMoroccoMozambiqueMyanmarNamibiaNauruNepalNetherlandsNew ZealandNicaraguaNigerNigeriaNorthern Mariana IslandsNorwayOmanPakistanPalauPalestine, State ofPanamaPapua New GuineaParaguayPeruPhilippinesPolandPortugalPuerto RicoQatarRomaniaRussiaRwandaSaint Kitts and NevisSaint LuciaSaint Vincent and the GrenadinesSaint MartinSamoaSan MarinoSao Tome and PrincipeSaudi ArabiaSenegalSerbiaSeychellesSierra LeoneSingaporeSint MaartenSlovakiaSloveniaSolomon IslandsSomaliaSouth AfricaSpainSri LankaSudanSudan, SouthSurinameSwazilandSwedenSwitzerlandSyriaTaiwanTajikistanTanzaniaThailandTogoTongaTrinidad and TobagoTunisiaTurkeyTurkmenistanTuvaluUgandaUkraineUnited Arab EmiratesUnited KingdomUnited StatesUruguayUzbekistanVanuatuVatican CityVenezuelaVietnamVirgin Islands, BritishVirgin Islands, U.S.YemenZambiaZimbabwe . Successful submission of your form will take you to a thank you page. If you are returned to the top of this page then there is an error on your form and you will need to scroll back down and respond to the questions marked in red before resubmitting.